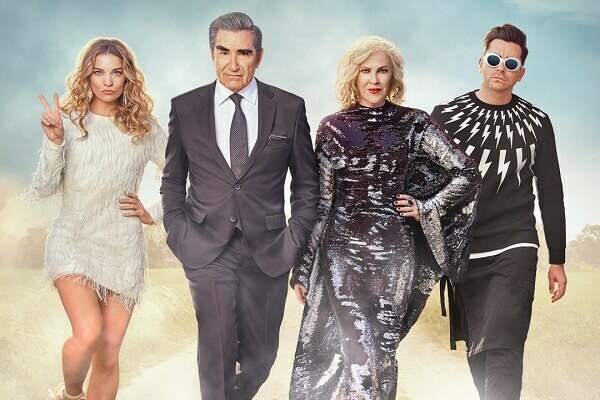 Enter the Pop TV Visit Schitt’s Creek Super Fan Contest 2019 now to get an exclusive chance to win a free trip for (2) to Toronto, Canada. Your wait for vacation trip is finally over now! Visit poptv.com/win and submit either a photo or a 15-second video with a caption showing you’re a Schitt’s Creek Super Fan. Also, complete the entry form to receive entry for the Poptv.com Schitt’s Creek Contest. A trip for two (2) to Toronto, Canada to visit the Schitt’s Creek set and attend a meet-and-greet with the cast.